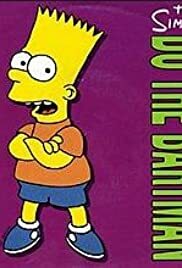 A music video featuring Bart Simpson performing his song "Do The Bartman" during a school dance recital, stealing the show. Back in its early days, The Simpsons made two music videos. One was Deep, Deep Trouble, while the first one was Do The Bartman. You might think of Homer when you hear The Simpsons, but Bart was actually the most popular character at first. With his cool catchphrases, and high relatability to other children who went in school, he was on everyone's mind. 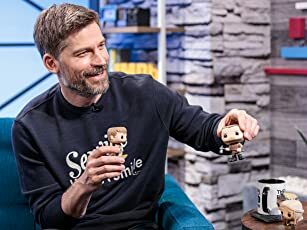 So it only made sense to make something to cash in on his cultural influence. But as dated as it might look today (Bart of now would probably never do something like this, which is a shame), I think it has a lot of charm to it. It's nicely directed (by Brad Bird, who also was behind Krusty Gets Busted) and well choreographed (even though it's animation and not real people, but... you know), and most of all... it's so damn catchy! When listening to it, tell me you really don't want to stand up and do the Bartman. It's even pretty funny, got the classic wit you know the show for. I would watch this one all the time on my season 1 DVD set, so even though I didn't grow up in the early 90's I still have fond memories of this short. If you don't mind crude animation and screamin' early 90's, give it a look.